Milk Products introduces Sav-A-Caf® Calf Health Supplement. This new calf supplement can be added to whole milk or milk replacer to support early calf health during the first 14 days of life. 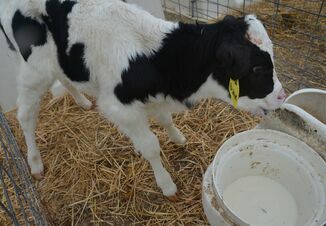 "Getting calves off to a solid start is crucial for long-term growth and it all starts in the first couple weeks of life," says Julian (Skip) Olson, DVM, technical services manager for Milk Products. "Sav-A-Caf Calf Health Supplement is an easy to use, non-medicated product designed with natural ingredients, such as naturally occurring microorganisms and natural flavor extracts, to support optimal calf health." Stay ahead of upcoming Veterinary Feed Directives (VFD) by supporting calf health and growth with the new Sav-A-Caf Calf Health Supplement. 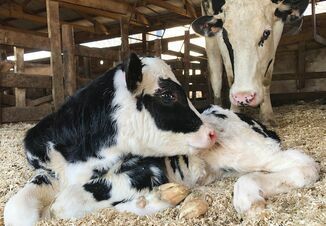 "Healthy calves in the first two weeks can become less exposed to growth setbacks and health challenges later in life, resulting in optimal growth and lower additional management expenses," says Olson. "Supplementing a non-medicated diet with a premium health supplement can promote optimal lifetime performance." To learn more about Sav-A-Caf Calf Health Supplement or to find a store with Sav-A-Caf products near you visit www.SavACaf.com.